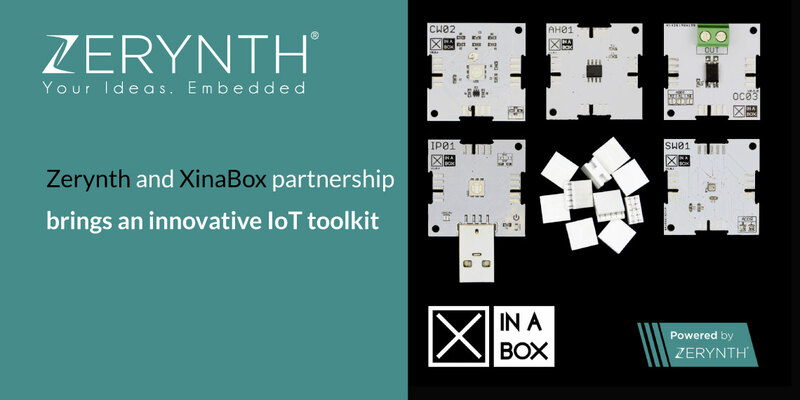 Like we promised in the Zerynth and XinaBox partnership announcement, the XK12 IoT Starter Kit is now available for purchase with a Zerynth license already onboard. An out-of-the-box device that is programmable with Zerynth – IoT developers all over the world will get a chance to experience this highly advantageous and fast tool for evaluating and prototyping. This revolutionary IoT development kit will dramatically simplify building electronic devices. By combining modular electronics by XinaBox with an ecosystem of software tools in Python development time, speed to market, and costs will be vastly reduced. To activate the Zerynth license you need to insert a voucher code during the registration phase of the device. More info on how to redeem the coupon here. More information about each tool can be found on the official XinaBox product page. The CW02 development board by XinaBox is based on the ESP32 by Espressif Systems, 2.4 GHz Wi-Fi and Bluetooth combo chip designed with TSMC ultra-low-power 40 nm technology and an Xtensa® Dual-core 32-bit LX6 microprocessor. Take a look at this tutorial and find how to get started with the Zerynth and the new XinaBox development board. With all this information all that is left to do, is tell you where you can purchase this development kit. So, visit the XinaBox official website, or follow this link and go straight to the product page.